What is the roll of the Republic of Slovenia in the frame of the Alpine Convention? Slovenia is the contract partner of the Alpine Convention. The contract was signed in the year 1993 and ratified in 1995. After Germany, Lichtenstein and Austria, Slovenia is the fourth partner which ratified the Convention and also all the implementing Protocols of the Convention. As a contract partner, Slovenia is active in the work of the bodies and the working groups of the Convention , at the same time Slovenia is initiating the implementation of the Alpine Convention and implementing Protocols in Slovenia on national, regional and local levels. The Environment Ministry, as the carrier of the Convention in Slovenia , is paying special attention to the usage of a complex access at directing the development in the Alpine space , with coordinating of the development demands with the protective demands- considering the characteristics and the potentials of the Alpine space and the needs of the local inhabitants. In March 2009 Slovenia will- for two years -take over the presidency of the Alpine Convention bodies for the third time. In the frame of the inherited agenda the basic activity will be given to the coordination of the implementation of the actions plan for the Alpine climate. The task of our presidency to the Convention is to increase its efficiency by definite cooperation with local inhabitants and by initiating the implementation of the spatial arrangements to the adaptation to the climate changes in the Alpine area. In the time of presidency special attention will be given to the roll of the spatial planning and development from the view of the adaptation to the climate changes and to preventing from the consequences of these changes and to motivating the cooperation between regional and local levels at the implementation of the Convention and its Protocols. The priority of our presidency will also be the initiatiation of regional cooperation and of cooperation among the mountain areas as for instance the Alps, Carpat and Dinara mountains in the forms of transfer of good practices and motivating the integral access to the development in the Alps. As the Environment Minister- where do you see the priorities for the preservation of the Alpine space in Slovenia? The priorities for the preservation of the Alpine region and the guiding the development in the region are based especially on the principle of continuous development, while considering the specifics, potentials and limitations of the Alpine region and in demands by adjusting the climate changes , to which the Alps are mainly exposed. The Alpine region is representing an important ecosystem which is due to its characteristics very vulnerable to the impacts of traffic, tourism and other economic activities and therefore needs a special access to the guidance of the development. Considering the specifics of the Alpine region for its protection is is important to preserve and modernise the existing populating structures and the development of populating conditions in accordance to the principle of continuous development. From the view of consequences of the climate changes especially strategies and solutions for the adaptation to climate changes are important, not only for hindrance from the consequences of climate changes. Here the spatial planning has an important roll, it should offer spatial solutions on the basis of the complex access , which are acceptable for the society, environment, culture and economics. The activities of initiating energetically economic construction and the use and the development of the continuous forms of traffic, tourism and other economic activities are very important. Beside the environment and economic points of view the cultural one is extremely important, too. It is necessary to consider local specifics, to give priority to the construction which is friendly to environment and to the usage of raw materials and labour services from domestic area. The priorities for conserving the Alpine region must therefore be in informing the public and in including of “various players” in regional and local level to secure the continuous development of the region. An important frame for mutual learning and the exchange of experiences and good practices are also the projects of regional cooperation among Alpine countries. According to the mentioned points we also prepared the priorities of the Slovenian presidency to the Alpine Convention in the period from March 2009 to March 2011. How do you estimate the roll of the non-governmental organisations, for instance the Slovenian Alpine Association and - of course -also others, which are involved in various projects of the Convention - cross border mountain trails, the development of the tourism, Triglav National Park? I see the roll of non-governmental organisations at implementing the Alpine Convention and its Protocols and at their activities in the frame of numerous projects of the Convention as successful and very important. It is their active roll that in the majority of the cases is the most important for the successful implementation of the Convention. Non-governmental organisations are namely active on regional and local levels, where the provisions of the Convention- in the contact to local inhabitants -actually can be implemented. The organisations are significantly contributing with their activity to the preservation of the qualities of the Alpine space on one side, on the other also to the development of the Alpine area and its inhabitants. The results of the projects and of other activities of of the non-governmental organisations are forming the cases of good practice and cooperation in the Alpine regions which can be an example to other similar areas. I think that here the activities of the Slovenian Alpine Association contribute significantly, the roll of this organisation is important also from the view of its roll of monitoring in the structures of the Convention , where it forms and directs- together with the contract partners – the politics in the Alpine space. Slovenia is initiating the roll of the non-governmental organisations in the Alpine area and will also in future make efforts for their intensive joining to the activities of the implementation of the Convention and its Protocols. Non-government organisations and their activities will be also included in the programme of the Slovenian presidency of the Alpine Convention. 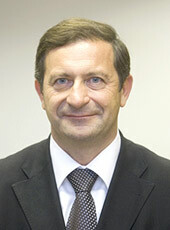 Karl Erjavec is the Minister of the Environment and Spatial planning of the Republic of Slovenia and was in the years 2004 – 2008 Minister of Defense.